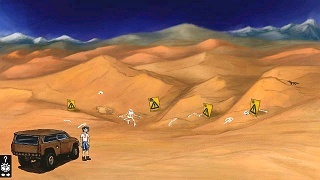 As you probably know from part #1 of this game serie, the future has brought destruction to some places on Earth. Some people are suffering from poverty, disease, and visible genetic mutations. Although the mutations are typically small, they are often used as a pretext to attack the Mutants by the Chosen. In part #1, Riam saved his sister from kidnappers, but they had to flee and find a new place to live. Now they are hiding in a ruined cellar, and Riam has to find a way how to defend them, or even how to effectively attack the militants of the Chosen ones.